Dubai’s recently unveiled strategy to be the capital of the Islamic Economy brings with it a range of exciting opportunities as well as some interesting challenges. Food and finance are the two most emergent opportunities. Islamic finance has excess liquidity and limited Sharia-compliant investment opportunities; the expanding Halal food sector is under-supplied and in need of capital. So what is stopping these two from working together for their mutual benefit? Over the past decades, the Islamic finance and Halal food industries have developed in separate, isolated silos. Despite having common roots in the Quran, (and specifically even in the same chapter, Surat al Baqarah) there has been very little interaction between these two Sharia-compliant industries. On the one hand, there are continued reports of excess liquidity in the Islamic finance sector, albeit mostly related to institutional funds that are looking for fixed-income investments opportunities. According to data from Thomson Reuters, Islamic finance assets reached $1.32 trillion (Dh4.8 trillion) at the end of 2012; average growth over the past four years has been at 19 per cent and sukuk market is growing at 10 per cent. Overall, growth is 50 per cent faster than conventional banking in many of the core markets and, yet, somehow there is the feeling that something is missing; engagement with the real economy has not been achieved. The food sector, on the other hand, struggles to keep up with demand from increasingly aware Muslim consumers who are becoming more vocal in terms of what products they want, as well as what they do or don’t consider to be Halal. One glaring difference between the two is in terms of engagement. Over 70 per cent of the Muslim world is still “un-banked” in any shape or form, let alone with an Islamic bank. Islamic finance does not have much traction with the average man in the street, and most would not be that familiar with the technical terms. In the food sector, it is a totally different story. Not only is the average Muslim fully engaged with the Halal food market, they also have strong opinions about what constitutes Halal compliance. Indeed, the expansion of the food sector is driven from both the consumer and producer ends, as consumers become more aware and vocal, and producers look for new opportunities in increasing saturated markets. Another point of divergence is that in the Islamic finance industry, Sharia scholars tolerate minor amounts of interest or impermissible income, and the investment can still be considered compliant. In the food sector, any minor trace of haram ingredient would be rejected out of hand by the overwhelming majority of Muslim consumers. While there is zero tolerance among informed consumers, there is, paradoxically, a considerable degree of tolerance of the prohibited among educated Islamic finance scholars. The Islamic Finance industry is largely controlled by Muslims, by scholars and senior executives. Yet, the common complaint within the industry is that a high percentage (one bank CEO stated as much as 85 per cent) of Sharia-compliant funds get re-invested in the mainstream interest-based markets to earn the profit that is later returned to the investor as being “Sharia-compliant”. In direct contrast, the Halal food industry is largely in the hands of non-Muslim controlled companies, and yet the majority of them are very aware and respectful of the need to be compliant, and will convert their production lines to being 100 per cent Halal in order to secure the trust of the consumers. As these two sectors expand, we can expect to see more avenues of convergence over the course of time. 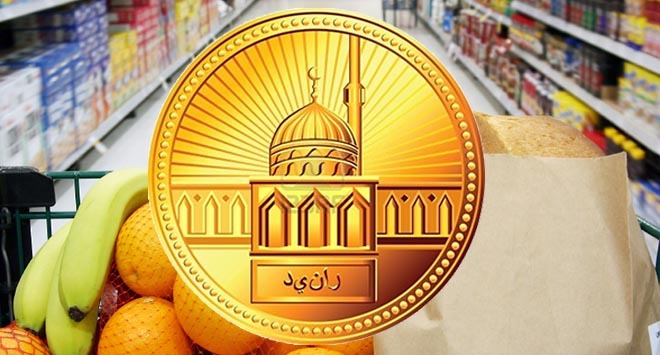 Following the example of Saudi dairy giant Almarai, major corporations in the food, personal care and pharmaceutical sectors could issue sukuk for expansion, and at the same time increase their credibility in the Halal marketplace. Given the real employment shortage within the Arab world — it is estimated that 60 million jobs will be needed by 2020 — one would hope the increasing focus on the Islamic Economy will be a catalyst to create more overlap between the twin pillars of food and finance. However, until there is greater awareness by governments, more transparent regulatory frameworks in the food sector, and more adventurous capital in the finance sector, one suspects that the silos may remain in place for some time yet. One gets the feeling that when and where that happens, there will be a real engine of growth kicking into gear. CREDIT: The writer is an advisor to Thomson Reuters on matters relating to the Islamic economy.